Since interactions on Skype aren’t publicly available, its team was tasked with finding a way to capture how inherently social its product really is. The campaign was a hit with more than 140,000 visits to its campaign hub and over 5,000 campaign shares. About 10% of those visitors also went on to download Skype on their mobile devices. 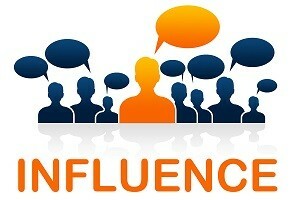 Influencer marketing isn’t just reserved for B2C marketers. It can be incredibly powerful for B2B marketers as well. Case in point: LinkedIn co-created its e-book The Sophisticated Marketer’s Guide to LinkedIn [email required] with industry leaders and B2B marketing experts. These hyper-connected individuals offered their best tips for marketing on LinkedIn and shared the e-book with their followers. Just through these influencers and their dedicated audiences, LinkedIn garnered thousands of shares and generated millions in new business. While chocolate milk is often perceived as a popular kids’ drink, it’s also beneficial as an adult’s performance beverage. Weber Shandwick changed the “just for kids” perception by turning to credible influencers, such as athletes, sports nutritionists, sports and fitness bloggers, and researchers, to help reshape perceptions and showcase how chocolate milk can be a great beverage to refuel after a workout. Hines Ward of the Pittsburgh Steelers played a large part in the campaign as the team followed him through his workouts to educate people on the science behind chocolate milk and its benefits on recovery. The campaign data shows a consistent year-over-year increase since the launch of its influencer program. With the help of influencer marketing firm, Branderati, People StyleWatch created the Style Hunters Network. Some 1,000 influencers were handpicked and invited to join the network, where they received exclusive fashion insight, content, deals, and product samples. These fashion-savvy influencers consistently shared the content with their followers, with campaigns averaging an exposure rate in the seven figures. The participating brand Garnier provided 150 full-size “Curl Calm Down Cream” products, which Style Hunters provided feedback on via their blogs and social media. This campaign alone generated more than six million impressions in a month through influencer blog posts and social sharing. Influencer-led campaigns can be hugely successful for food brands, especially when combined with powerful visuals. People love talking about, tweeting, liking, pinning, collecting, and sharing food photos. When International Delight launched a new line of Cold Stone Creamery flavors, it enlisted food bloggers to create and share recipes using its product. One blogger alone, WillCookForSmiles generated 28,000 pins on Pinterest for a photo of a White Wedding Cake Milkshake prepared with one of the creamery flavors. Each of these campaigns showcases how effective influencer marketing can be for different industries. Though there are newly formed agencies that specialize in pairing brands with influencers, many easily accessible online tools can be extremely helpful in narrowing down your search to find the most well-aligned influencers for your campaigns.